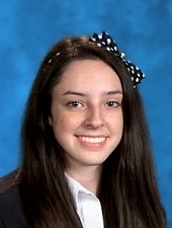 Savio junior Emily Shoemaker was awarded a $2000 Summer Grant from National Mathematics Honor Society, Mu Alpha Theta, to attend the Yale Astrophysics Summer Program. The Yale Summer Program in Astrophysics (YSPA) is a research and enrichment program hosted at the Leitner Family Observatory and Planetarium (LFOP) at Yale for 28 rising high school seniors (high school students who are juniors when they apply) who have shown an aptitude for science and math and who are considering going into careers in science or tech. Bianca Sicich, graduate and valedictorian of Savio 2012, volunteers at the University of Texas Entomology Collection, which houses over 1 million insect and invertebrate specimens for purposes of data collection and public education. She photographs specimens for a public domain imaging project called Insects Unlocked, where volunteers release their images to be used freely by research journals, companies, educators, and more. Bianca photographed this tick, which she found on her ear after a birding field biology trip, using a technique called focus stacking, allowing for an in-focus macro view of tiny creatures. Much to Bianca's surprise, this photograph was chosen as the cover photo for the May 2016 issue of the Journal for Medical Entomology. Bianca is currently working on her undergraduate Biology degree in Ecology, Evolution, and Behavior at UT Austin and a Certificate of Computing. 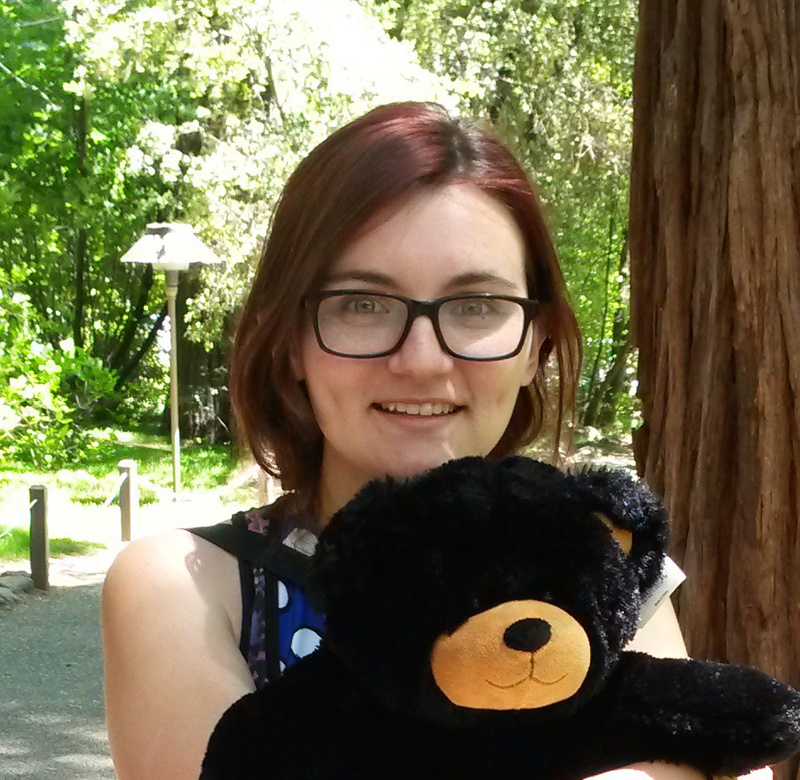 Bianca plans to pursue a graduate degree in Biology upon graduating from UT in 2017. 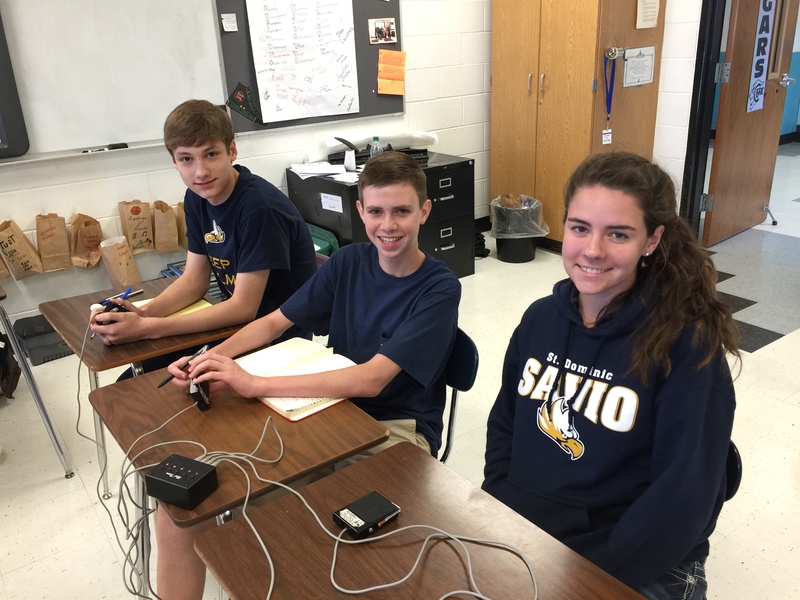 On April 30th the Savio Quiz Bowl team sent a team of just three players to compete in the JV State Championship tournament in San Antonio. Sophomore Bryn Stryk was entering just her second Texas Quiz Bowl event ever, while freshmen Nicholas Huth and Matthew Meskill had been regulars throughout the year. But with only three players the young Eagle squad faced an uphill battle all day long. Houston's DeBakey High School and San Antonio's Brandeis. The Eagles also dropped a nail biter against Houston Strake Jesuit and battled valiantly in all their matches. In the end the JV squad from LASA was just too tough. With three players from the 2014 middle school national champion team LASA just had more fire power than the rest of the field could handle, going 11-0-1 on the day to take the title. The short-handed Eagle squad finished in 7th place. Matthew Meskill captained the team and led the scoring for Savio with 42.92 points per game (6 powers and 5 NEG5's). In addition, Matthew was the number four scorer from the entire JV field. Matthew has definitely caught the eye of the Texas Quiz Bowl officials with his strong performances all year long, and he looks to continue that momentum next year. The season is now over for the Savio Quiz Bowlers. They will take a few weeks off, but will have several practices thru the summer. Many of the team's players will be going to Texas Quiz Bowl camp, which will be in Austin this year. Any new players looking to give Quiz Bowl a try should contact coach John Isakson at jisakson@earthlink.net. Congratulations to our Facilities Director, Mr. Jonithan Pendergrass, the winner of this year's St. John Bosco Service Award. Mr. Pendergrass was awarded the honor due to his selfless dedication to our school, the students, and the entire Savio community. He is a beautiful, living example of servant leadership. Upon announcement of Mr. Pendergrass as the award recipient, the entire student body erupted in applause lasting many minutes, a true testament to the love & service he shares with us all. The CTX National Football Foundation Athlete Scholar recognition event was held at the Frank Erwin Center at The University of Texas on May 9. Senior Marty Sedlacek was the honoree for St. Dominic Savio. Coach Joe Gutilla and Coach Leonard Estrada were there to support and represent Marty and St. Dominic Savio Catholic High School. The award is presented by the Austin Chapter of the NFF and College Hall of Fame. The award is given to promote and develop the power of amateur football in developing the qualities of leadership, sportsmanship, competitive zeal and the drive for academic excellence in America’s young people. Coach Mack Brown was keynote speaker and Marty gave the invocation for the evening. Marty's name along with the name of the school will appear with all of the other nationally recognized recipients of this award in the College Football Hall of Fame in Atlanta, GA. In addition to a strong showing at the TAPPS State Academic Meet, the Savio Math Team fared well in a number of other competitions this year. In February they took tests as part of the American Mathematics Competition (AMC). 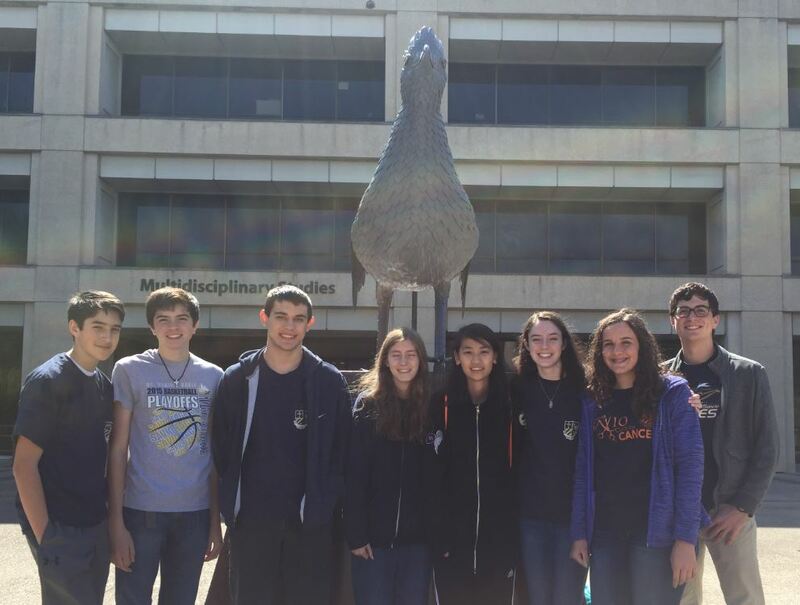 In March they competed in the Texas Math and Science Coaches Association (TMSCA) State Championship Meet at University of Texas at San Antonio. Throughout the year they competed in the Texas Mathematics League competition, and in April they competed in the Purple Comet online international math meet. Freshmen and sophomores took the AMC10 test, and juniors and seniors took the AMC12 test. Emily Shoemaker and Nicholas Isakson both scored in the top 25% nationally on the AMC12. Matthew Bianchi put up the top score among Savio AMC12 test takers and placed in the top 5% nationally. This earned Matthew a certficiation of distinction, and he moved on to the next level of the competition, the American Invitational Mathematics Exam (AIME). Matthew Meskill and Nicholas Bianchi scored in the top 25% nationally on the AMC10. Jonathan Shoemaker received an honor roll of distinction pin and a certificate of distinction for scoring among the top 1% nationally for AMC10. He moved on to the next level, the AIME, and scored high enough in that to move on to the USA Junior Mathematical Olympiad. This places him among the top 230 ninth and tenth graders in the country. At the TMSCA State Championship Meet in San Antonio the Eagles competed in the 5A division against 27 other schools. They took written tests in Number Sense, Math, Calculator and Science. The Savio team placed 7th in both Number Sense and Math and placed 8th overall. Emily Shoemaker placed 7th among juniors in Math and 9th among juniors in Number Sense. Jonathan Shoemaker placed 1st among freshmen in Math, 2nd among freshmen in Number Sense, 2nd among freshmen in Calculator and 4th among freshmen in Science. Once each month from October thru March the Eagle Math teamers took a test as part of the Texas Mathematics League competition. The team finished 6th place overall out of 44 teams in the league. Five of Savio's students earned distinction by being among the league's top 35 scorers: Jonathan Shoemaker (9th), Matthew Bianchi (16th), Emily Shoemaker (tie 28th), Nicholas Isakson (tie 28th), and Matthew Meskill (tie 28th). In the Purple Comet competition the team members were allowed to collaborate to solve problems and entered their answers online. The Eagle team finished 5th in the state of Texas and 25th in the USA in this event. The team will be looking for another big year in 2016-2017. New players are always welcome. Contact Dr. Marcia Isakson if interested at isaksonmj@gmail.com. The 2016 TAPPS 4A State golf tournament was held May 2nd and 3rd at the Wildflower Country Club in Temple, TX. Tournament Bill Euler and TAPPS put together a great tournament fielded by State qualifiers from - Bullard The Brook Hill School, Corpus Christi Incarnate Word, Ft Worth Southwest Christian School, Grapevine Faith Christian School, Houston Second Baptist, Houston The Village School, Laredo St Augustine, Tyler Grace Community School, Frisco Legacy Christian Academy, Houston Lutheran South Academy, Midland Christian School, San Antonio Cornerstone Christian School, Victoria St Joseph High School, Carrolton Prince of Peace Christian School, Austin Hyde Park Baptist and our very own St Dominic Savio Catholic High School. This season has been a great time for Central Texas golf as Mother Nature and the weather has cooperated beautifully. Except for a few rainstorms the temperatures were great. However, in golf, as there is always the occasional errant shot or ball in a divot to slow things down, so too the weather steps things up to add pressure to the moment. And this tournament was that time. The first round teed off on time and the first 6 groups were on the course when lightning struck and the golfers were pulled off the course for an hour and 45-minute delay. Play resumed and with colder temperatures and wet conditions, the field slushed around the course. Scores were higher than what each golfer was used to and there were grumblings, sad faces and even tears as the day ended. Our Lady Eagles became part of the first day miseries and there was anger, tears and disbelief in their scores. As Coach likes to say, “They were passionate about their game”. After a very nice dinner of pizza and pasta on Monday evening and a good night's rest, our Ladies came out to do what they had qualified for, take their place in the State Golf Tournament. Tuesday’s round began without a hitch. The entire field was greeted by a cool start and then a very sunny day. It was a very good day to be out on the course. 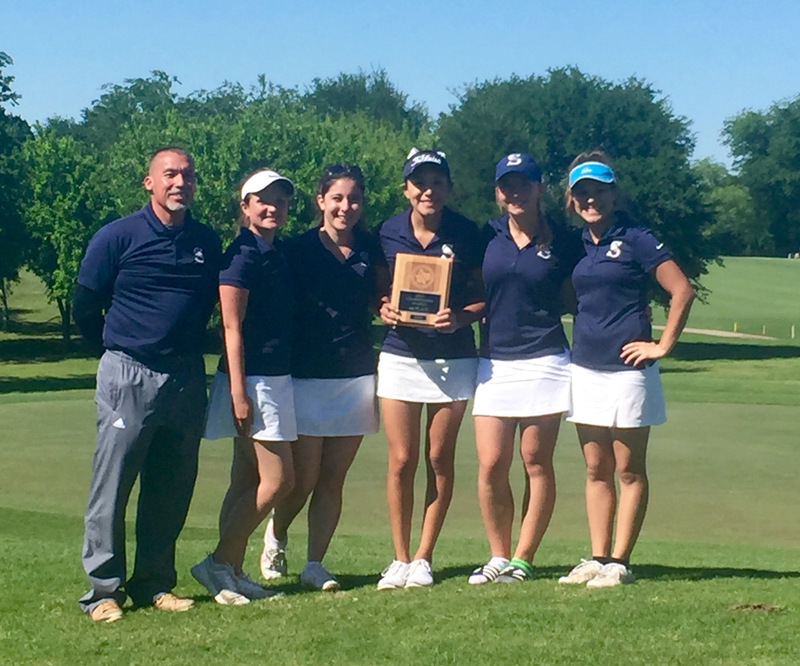 Led by Sr. Captain Savanah Acosta (99-94, 193 total), Sr. Shelbie Sagnes (95-109, 204), Jr. Connor Neill (119-112, 231), Soph. Shelby Ferraris (117-115, 232) and new comer Soph. Katie Jones (97-92, 189), our Lady Eagles coming into the tournament ranked 4th maintained their position and brought home the 4th place honors as 2016 State Champion Finalist. It was a bittersweet season for Coach Luis Becerra as he sees several senior golfers leave the program for their new college lives. Coach only hopes that some of the golf lessons and colloquialisms are appreciated as these golfers navigate the course of life. He is also looking for the current Mens and Ladies teams to step up for next year and hopes to find passionate replacements for the graduating seniors. On Sunday, May 1, many of the sophomores visited Our Lady's Maronite Catholic Church in Austin as a culminating event for their theology unit on the Eastern rites of the Catholic Church. They attended the 10 a.m. Divine Liturgy with their families and, afterwards, enjoyed a Q&A session with Monsignor Don and coffee and cookies. It was a wonderful way to experience firsthand what they had been studying in the classroom.